Charging cables have come a long way, as these awesome new cables show. These three versatile, tough new charging options show that the Lightning cable has evolved. Considering how much we rely on and use various cables to connect and charge up our devices, it’s high time they learn to keep up. These three new, rugged and highly adaptable cables from Nomad represent a step in the right direction. From a PVC-jacketed cable to a built-in battery and a universal interface for any connection type, these next-gen cables are well worth checking out. This cable is built with extra layers of braided PVC and Kevlar, making it tough enough to take a bullet. This cable is what Batman might use to charge his phone. Engineered with a double layer of braided, ballistic-grade nylon PVC and with a robust Kevlar core, this cable is literally tough enough to take a bullet. These Nomad Ultra Rugged Charging Cables pack an RF shield. Their Liquid Silicone Rubber build gives them added strength for coiling without tangling. The MFi-certified cables also allow fast data sync and 20AWG for fast charging. Buy now: Get a Nomad Ultra Rugged Charging Cable for $29.95 at Cult of Mac Deals. This single cable contains three separate tips — USB-C, Micro USB and Lightning — thanks to a clever latching mechanism. These days, one cable never does the trick for all the devices we use. 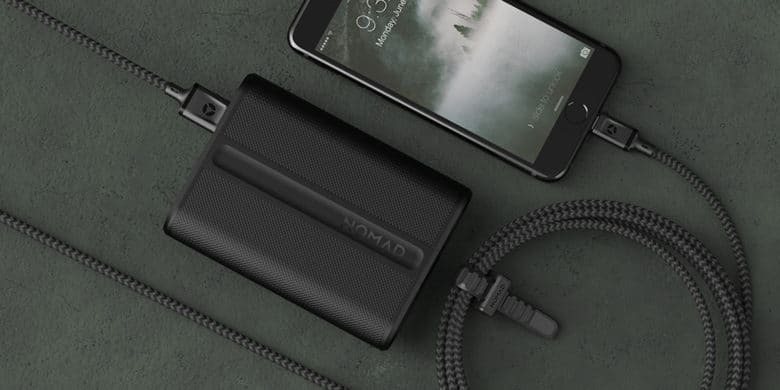 This cable from Nomad, which includes many of the same tough features as the Nomad Ultra Rugged Charging Cables described above, adds a clever way to make it the only cable you’ll ever need. 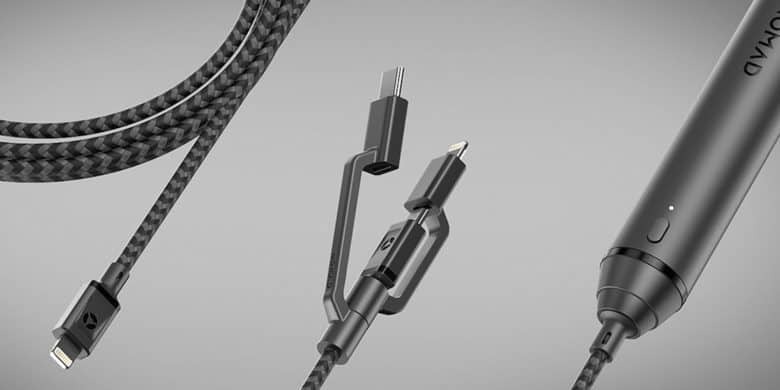 Built around a micro USB connection, it also includes a pair of slidable tips with USB-C and Lightning connectors. This is a great way to declutter your computer bag and streamline your mobile charging and backup. Buy now: Get a Nomad Ultra Rugged Universal Cable for $34.95 at Cult of Mac Deals. This cable is tough, versatile and also happens to have a backup battery built right in. 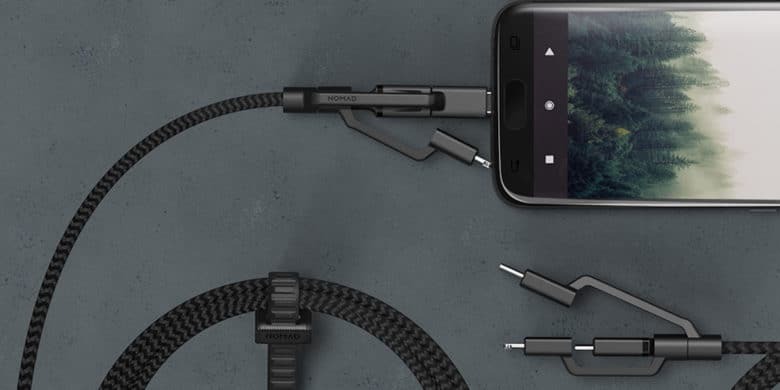 Maybe the coolest next-gen feature belongs to the Nomad Ultra Rugged Universal Cable. Again, it’s a super-tough and versatile Lightning cable. But it also includes a 2,350mAh portable battery that will charge your phone. That means you can cut down even further on space and weight by carrying a cable that can keep your devices charged when you’re far from a power outlet. The Nomad Ultra Rugged Universal Cable’s battery packs enough juice to fully charge an iPhone 7. 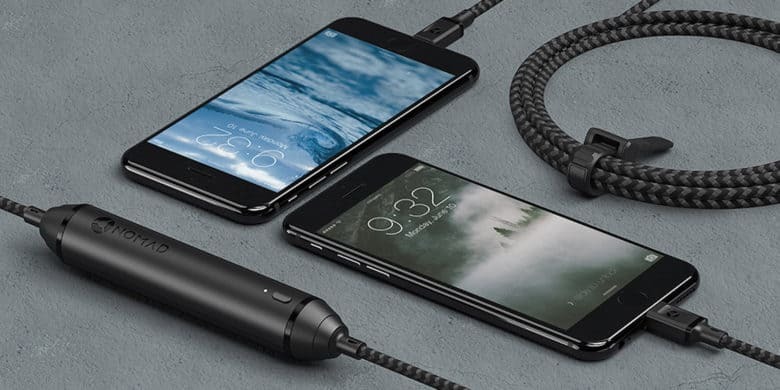 Buy now: Get a Nomad Ultra Rugged Battery Lightning Cable for $39.95 at Cult of Mac Deals.